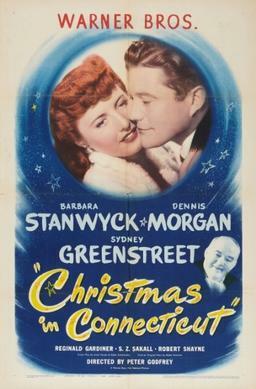 Tonight my mother and I watched Christmas in Connecticut, a funny little movie made in 1945 starring Barbara Stanwyck, Dennis Morgan, and Sydney Greenstreet. Stanwyck plays Elizabeth Lane, a single woman living in a New York City apartment who writes a popular magazine column in which she masquerades as a perfect American housewife living in a Connecticut farmhouse with her husband and baby. When the owner of the magazine for which Elizabeth writes demands to spend Christmas at her farm with a war hero, Elizabeth scrambles to recreate her fictional life. 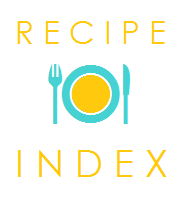 Her would-be husband John Sloane, a dull as dishwater architect, and her "Uncle" Felix, an eccentric chef, provide the house and the food respectively, but of course nothing goes according to plan. While "Christmas" is in the title of the movie, the plot has very little to do with the holiday, and focuses instead on zany shenanigans that rival those of a Wodehouse novel. Still, there are enough festive details--and beautiful backdrops--to make the film particularly pleasant to watch this time of year. We plan to add Christmas in Connecticut to our yearly holiday viewing schedule, and I highly recommend it to those looking for some lighthearted fun. As Uncle Felix would say, it is "hunky-dunky"!